Hiking in the gorgeous red rocks of Sedona, or camping out under towering Saguaros further south. Taking in the surreal sight of the Petrified Forest National Park or a long-empty meteor crater, all while enjoying some of the best tacos America’s got to offer. Oh, and I think I heard something about some sort of Grand Canyon…? It’s easy to see why Arizona is such a popular destination amongst campers of all sorts, but especially if you’re traveling by RV. The desert can be a harsh place, and it’s nice to have a little bit of luxury along for the journey. Of course, many travelers to the so-called “Copper State” are surprised to find out exactly how lush and diverse this alien landscape can be. The desert is so much more than white sands and cacti! Follow Arizona’s contours north, and you’ll find tall pines and gorgeous canyons carved into the striped red clay. 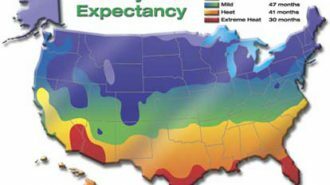 And although temperatures are boiling in the daytime, you’ll find nights pleasantly cool — or even surprisingly cold, depending on what time of year you visit. Plus, there are an incredible number of really stellar RV parks in Arizona, which makes sense, since it’s such a popular camping destination. All told, Arizona’s one of the most rewarding places to travel to in America and a total hidden gem, whether you’re interested in outdoor adventuring, culture and history, or just enjoying a beautiful landscape. And it’s also home to some of the most exciting and well-known RV and adventure shows in the business. 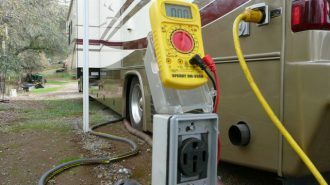 RV shows are fantastic activities for motorhome campers, whether or not you’re in the market for a new rig. It’s always helpful to walk through a few trailers and coaches to learn more about the different makes and models, and it never hurts to make a few new contacts in the industry. Plus, you’ll also get the chance to connect and engage with other adventurous campers just like you. And as everyone knows, the campfire improves the more people are gathered around it. There’s no such thing as having too many camping friends! You may be wondering, “Well, how do I find RV shows near me? What are the not-to-be-missed RV shows and events in Arizona?” Here are a few of our favorites across the state. You may not have heard of the sleepy town of Quartzsite, but come January, it’s a hot spot for RVers and campers of all stripes. 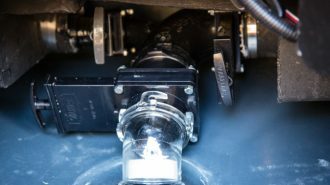 In fact, according to the Arizona Highway Department, as many as a million people — most of whom were in RVs — descended on Quartzsite last January to enjoy this yearly motorhome show. In other words, you don’t want to miss it. Here’s why — and all the details you need to know about how and when to get there. 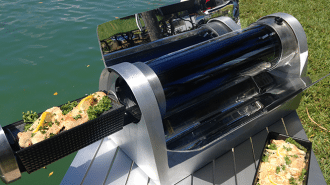 The Quartzsite camper and RV show has so much to offer, but there’s one detail that stands out among all the rest when it comes to reasons you’ll love this expo. It’s TOTALLY FREE TO ENTER for the public. That’s right — you won’t pay a dime to get in, or even just to park! But even if you did have to pay to get in, you’d probably want to. The Quartzsite travel trailer show doesn’t just take place over a weekend, but a whole week. And not only is it the largest RV show in Arizona, but it’s actually billed as the “Largest Gathering of RVers in the World!” It’s been held annually since 1984, and in those thirty years, the organization has learned a thing or two about hosting a fantastic camper show. You’ll be able to wander more than 20 acres of cutting-edge displays by vendors from across the country — and even Europe and Mexico. About 69,000 square feet of the show takes place in a carpeted, air conditioned indoor area, so you don’t have to worry about frying in Arizona’s heat all day. Plus, the entire facility features free WiFi and great cellular signal, which is imperative for staying connected in today’s high-tech world. 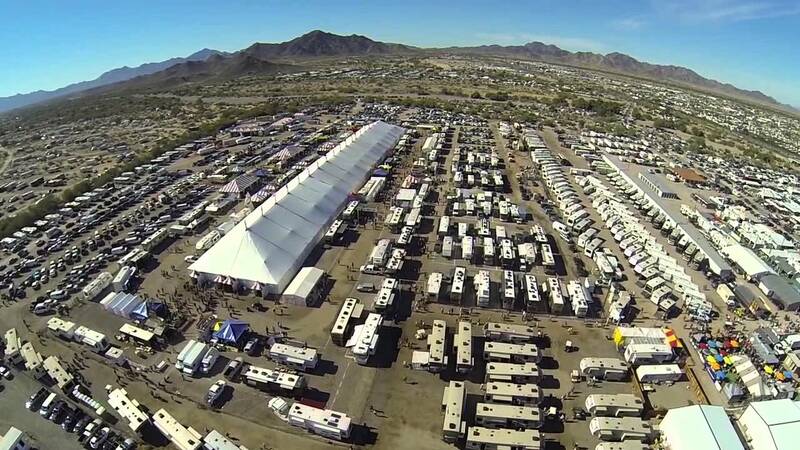 The Quartzsite expo is chock full of motorhomes, travel trailers, and campers ready to be taken home, as it’s attended by a huge host of Arizona RV dealers. Even if you’re not quite ready to take the plunge and buy your own rig, it’s the perfect opportunity to get more information on your next potential big purchase. 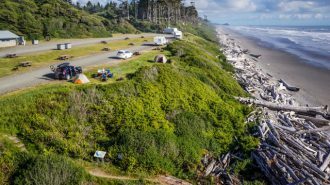 And perhaps best of all, the site, which is just 20 miles east of California’s eastern border, is surrounded by over 20,000 boondockable campsites, not to mention a variety of privately-owned campgrounds with electrical and sewer hookups. 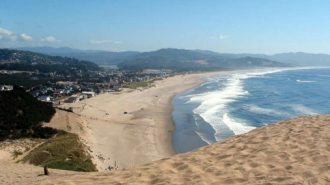 You can make it into a fun weekend getaway, or stay even longer, especially since the event takes place in close proximity to fascinating rock and gem shows taking place locally. The Quartzsite Sports, Vacation & RV Show is truly an experience to take in whether or not you’re an Arizona native — people travel from all over the country, and even the world, to attend. In short, if you have the opportunity to get there, you should make every effort to do so! Price: FREE! Can’t beat that! 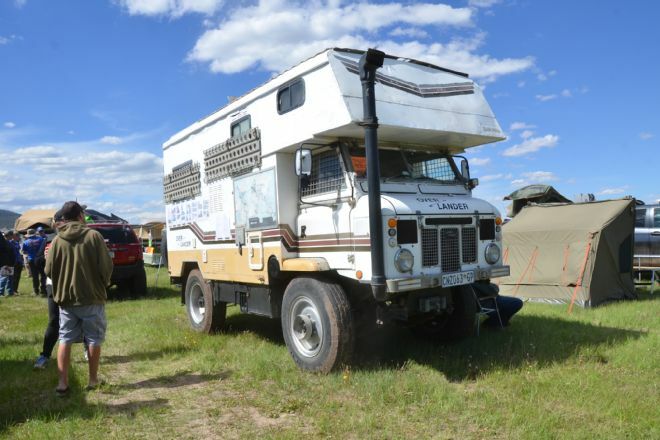 The Overland Expo isn’t any ordinary camping show. It’s a full-on experience and a chance for adventuresome outdoorsmen (and women!) to learn more about how to safely and enjoyable take on even their most challenging ambitions. Although it’s not specifically an RV show, the Overland Expo is regularly attended by RV campers of all sorts, from scrappy travelers who take on Mother Nature in their pop-up trailers to adventurers who like to get dirty and enjoy some luxury from time to time. But the important thing to know is, no matter how you travel, if you’re looking to take your adventure game to the next level, the Overland Expo is where you want to be. First of all, this expo actually takes place both in Flagstaff, Arizona — on the third weekend in May — and in Ashville, North Carolina — during the last weekend of September. So if you’re thinking, “I wish I could find an RV show near me,” you’ve got bicoastal options! But no matter which event you attend, what really sets the Overland Expo apart is its focus on education. It’s so much more than an RV camper show. These shows feature hundreds of session-hours of classes to help you learn the skills you need to tackle the toughest adventures safely. You might discover the proper way to utilize your four-wheel-drive vehicle or even take a crash course — not literally! — in adventure motorcycling. The event also hosts a multitude of roundtable discussions and demonstrations, and even has its very own film festival focused on adventure travel and outdoors pursuits. And, of course, the whole thing is peppered with a variety of planned happy hours and social events, not to mention hundreds of vendors to chat with and dozens of food options to peruse and try out. An important note: Since the Overland Expo isn’t like most other RV shows and is so focused on training and education, it isn’t the least expensive event in the world. If you take on the “Overland Experience” package, you’ll have full access to all seminars and discussions all weekend long and complimentary happy hour drinks on Friday and Saturday… but you’ll also spend as much as $375, depending on your type of vehicle. If that sounds a little pricey for you, consider Overland Expo’s single-day or weekend passes, which run from as low as $25 to $205 for a weekend pass including access to the area’s dry camping sites. One piece of good news for your pocketbook, however: Kids aged 17 and under get FREE entry! Although this isn’t a specific, planned annual event, the Arizona RV dealer La Mesa hosts a variety of massive RV shows in Phoenix, Scottsdale, and the general metro area throughout the year. The dealership has also hosted shows in Phoenix in the past, and may have events around its franchise branches in other states (such as Florida). 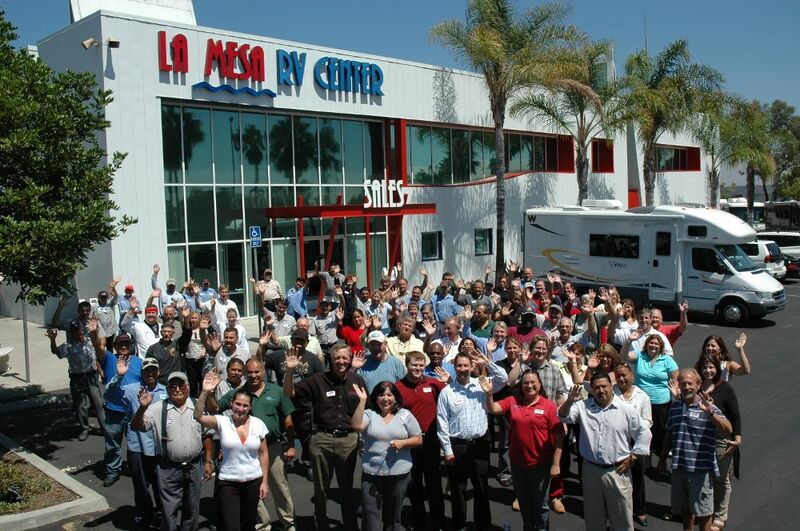 La Mesa is one of the largest and best-known RV dealers in the United States, and the opportunity to walk through its massive fleet of sale vehicles and speak to its qualified professionals is a fantastic one if you’re in the market for a new RV. 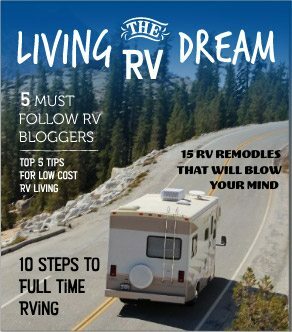 If you’re not sure which RV is right for you and your family and you’re trying to get more information before you make the big purchase, these are great events to keep up with. While La Mesa doesn’t have any advertised shows planned in the immediate future, they put on these sales shows frequently and in a variety of different locations. You can follow the company’s social media channels or reach out to them directly to stay in the loop about upcoming events you won’t want to miss. If you’re anything like us, this list of events has you reaching for your bags and cranking up the rig as we speak. Some of them almost sound too exciting to be real. Plus, there’s also the simple fact of camping in Arizona in the first place, which is already an incredible experience. I mean, the Grand Canyon is a classic road trip destination for a reason! Whether you’ve already been to Arizona tons of times and are planning on a repeat visit or it’ll be your first time exploring this southwestern beauty, there’s no need to fret if you don’t have an RV of your own to do your exploring in. Arizona has tons of RVs available for rent, especially since it’s such a popular state for this mode of travel. You can choose to rent an RV from a well-known, commercial vendor with a location near you. 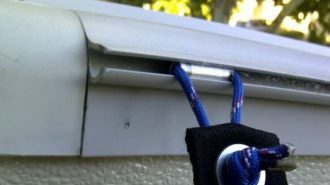 This can be an especially helpful option if you want to make a one-way trip, since franchised companies can generally allow for drop-offs at a satellite branch. But if you’re looking for a homier alternative to a sterile rental vehicle, don’t neglect the peer-to-peer market. Many private owners list their RVs for rent in Arizona, whether you’re starting out south near Tucson or as far north as Flagstaff. 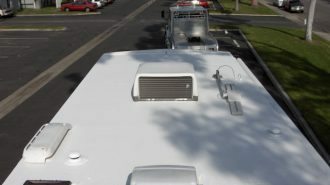 Plus, since these rigs are privately owned and maintained, they’re generally more comfortably appointed and homier than the motorhomes and travel trailers you might find on a corporate rental floor. 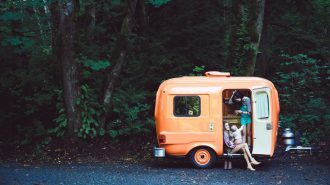 Renting an RV is a great way to try out the lifestyle and figure out which type of RV will work best for your personal travel preferences. 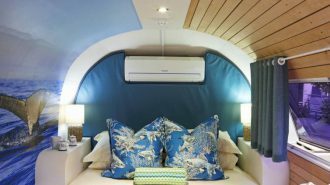 You’ll get the chance to enjoy the incredible freedom of traveling with your very own mobile house without having to worry about the long-term maintenance or upkeep — at least for now! But regardless of whether you rent, buy, own, or borrow, enjoy your time traveling through the desert. 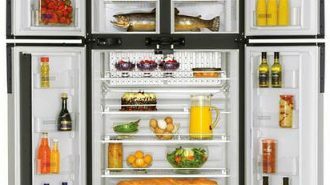 It’s anything but empty!